Here’s a choice for you: In business, would you prefer to be respected or would you prefer to be liked? Hmmm…. Respected. Liked. Well, Let’s look at that. Welcome to ‘On the Mats’; my name is Nathan McDonald. I am looking for another great installment and another good topic that we want to talk about! Well, today, we’re going to talk about: Would you like to be respected – or – would you like to be liked? Well, you know what? Why can’t you have both? And you can easily have both. For instance, look at Richard Branson – perfect example. He is liked by a lot of people. But he is also respected as a very good business owner. So, how can you do the same? First of all, I like to bring up, why am I talking about this topic? I see so many times of team members and customers not respecting the business owner. Or someone like yourself, they walk all over them. They’re not paying their bills on time. The team talks behind your back. So, I guess the key point is, if they are doing all that, you’re not really respected. Maybe because you’re too much trying to be liked. And human nature, we’d not ‘not’ like to be liked. We want to have that feeling that people like us. That it is a very big downfall in business, and it is extremely incredible to earn that respect. And how do you earn that respect? Point 1: You need to understand the FIFO method. And what that is, it’s FIRST IN, FIRE OUT. Now, we can put another little explicit in there, FIRST IN or ummmmm, but we want to keep this a friendly show. Reality is you’ve got to learn how to actually fire someone. Whether that’s a customer, a supplier, or a team member, or anyone who’s not respecting you. Because as soon as you do that, you’ll start getting people respecting you, going, ‘Can’t believe I just fired that person! Wow!’ All of a sudden you get that respect. So you’ve got to look at: is there anyone in your organization, customers or anyone around you that you need to get rid-of? The second point: Make Those Hard Decisions. Call it when its need to be called. Sit there and go, ‘Hey! You didn’t do that! Why not? How come you didn’t get that done? What’s it going take to get that done?’ Be the business owner that you need to be in your business to get what you need to be. And that is very, very important to look at. The third point: You Need to Respect Yourself. If all of a sudden you’ve got all your team members, or your customers, or suppliers, or your emails, or whatever, interrupting your day-in/day-out you’re not respecting your time. So, how is anyone else is going to respect your time? They’ll be more than happy to dump it on you. They’ll be happy to let you do it till 10 o’clock at night or get up early in 4 o’clock in the morning. You need to start respecting your time. And the easiest way to do that… is say NO! NO! Guys listen: NO! Not now, later on. So, start respecting your time. And of course, what we’ve got to look at is the last point: Walk the Talk. If you want to be respected, you need to WALK THE TALK. 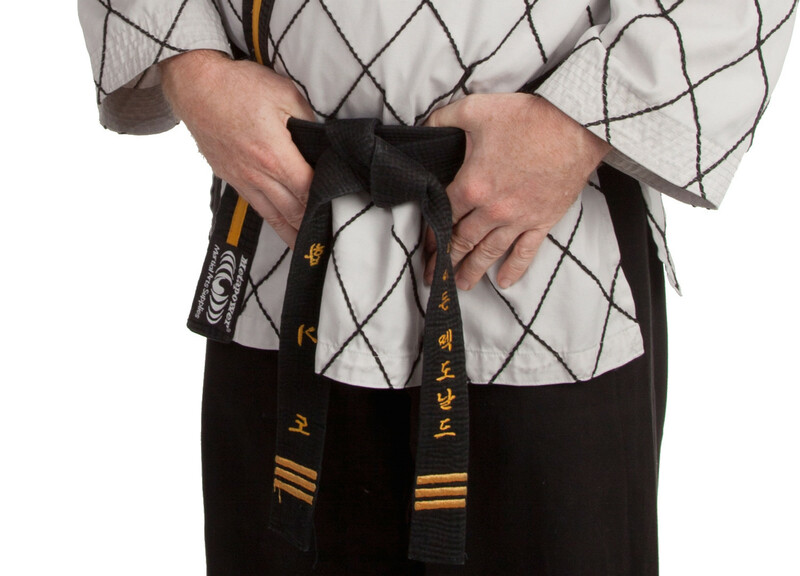 In martial arts, when I am teaching, I will never, ever, ever give anybody a technique to do, unless I am willing to demonstrate it and do it myself. And I get that respect. I don’t ask for respect. I don’t need to. Because with anyone singing-up to the martial arts school that I run. I can tell you now, that pretty quick that I get respect, because they can see that I’m in there. I’m doing warm-up with them. I’m getting in there. I’m showing them how to do it and holding them accountable. And, making sure that they are doing the techniques correctly. At my martial arts school I won’t give you a belt just because you’ve been there a length of time. I know business owners that have been in business 20 years, still slugging their guts out 60 hours a week. And that’s because they don’t respect themselves. So guys, it’s now time to look at being respected, not liked. And you can have both. But I know which path that I will help business owners get to, and that is to be RESPECTED. Thanks for watching another series of On the Mats. And, go and check out our Path to Business Mastery course – absolutely incredible guys. It’s on the link below. You’ll get so much out of it. So, that’s it for me. My name is Nathan McDonald. I’m an Aussie, my message is global and my passion is business. Have a great day guys! Enjoy!